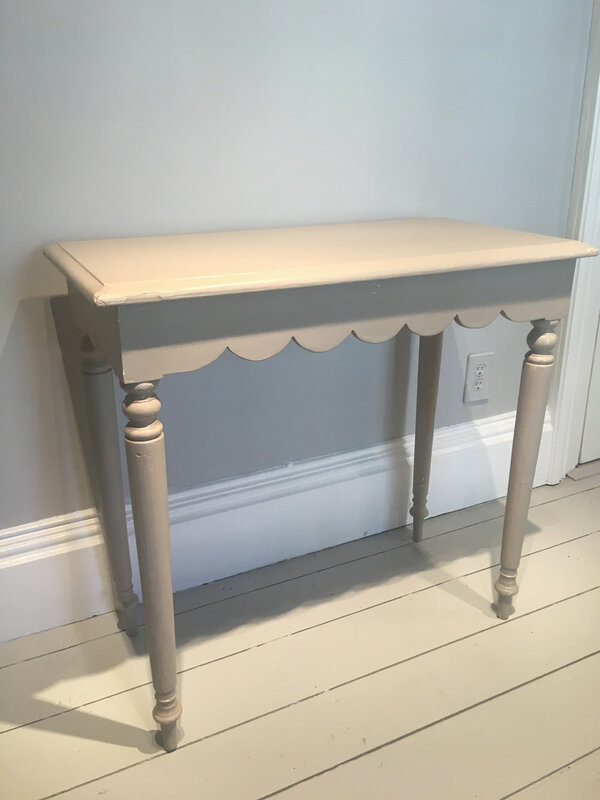 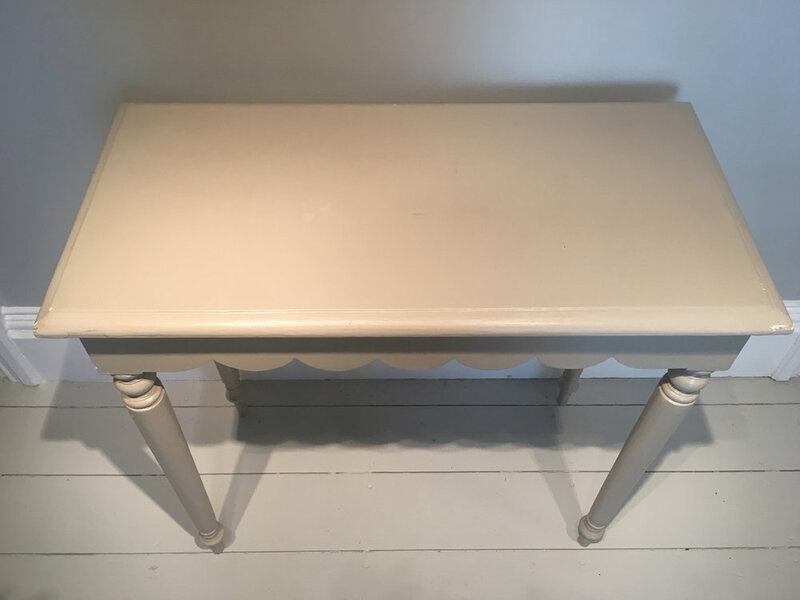 We love this table for its charming scalloped apron, versatile size, and detailed turned legs. 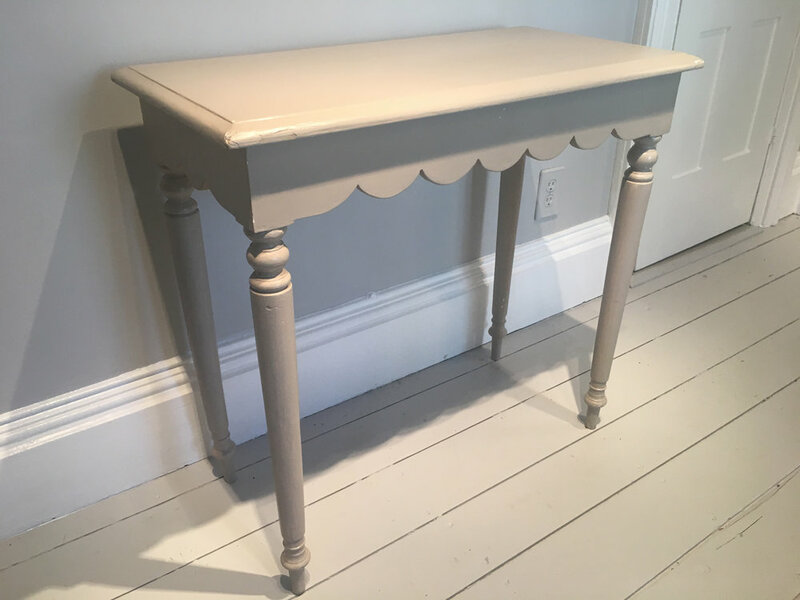 Its pale grey paint is lovely, but not old, so no worries about repainting it if you so desire. 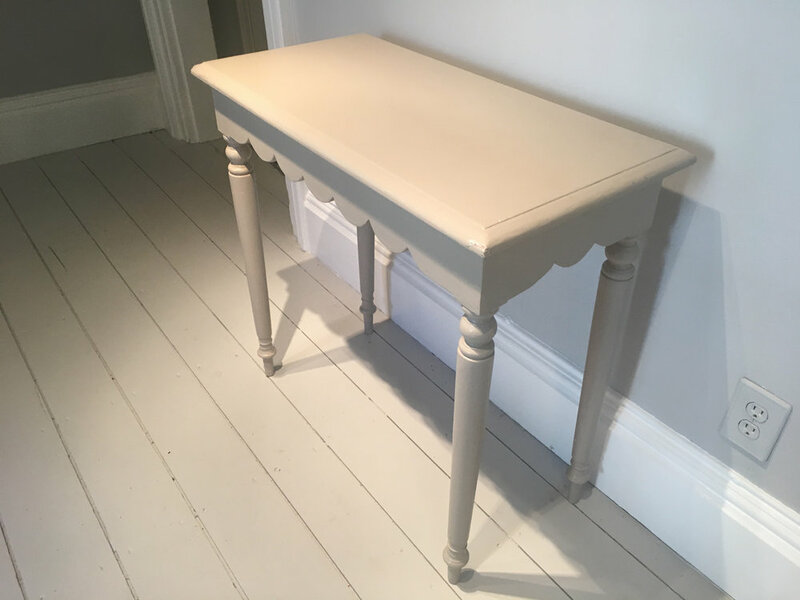 Perfect as a petite dining table, side table, or in your hallway or bathroom for a landing space, it will bring you years of pleasure.